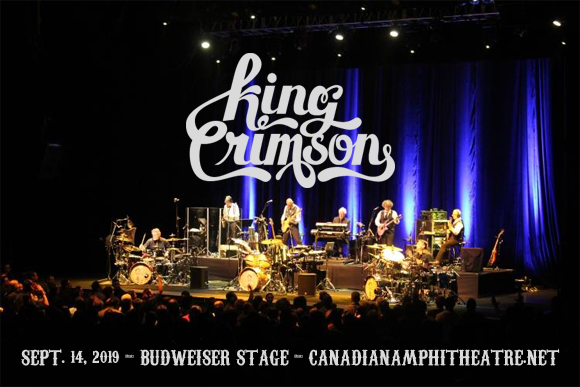 Formed in London, England in 1968, English progressive rock band King Crimson made its breakthrough in 1969 with an appearance at The Stones in the Park, a free concert in London's Hyde Park, produced and headlined by The Rolling Stones, in front of an estimated 500,000 people. The band released its debut album, In the Court of the Crimson King, three months later to widespread critical and commercial success. Over the years, the band has earned a large cult following and is thought of by many as a significant influence both on the early 1970s progressive rock movement and numerous contemporary genres. King Crimson has gone through multiple changes in line-up and musical direction over the years (the band has had a total of 22 different members), with band leader and guitarist Robert Fripp remaining the only constant member. Since October 2017, King Crimson has consisted of Robert Fripp, Jakko Jakszyk, Tony Levin, Mel Collins, Pat Mastelotto, Gavin Harrison, Jeremy Stacey and Bill Rieflin.